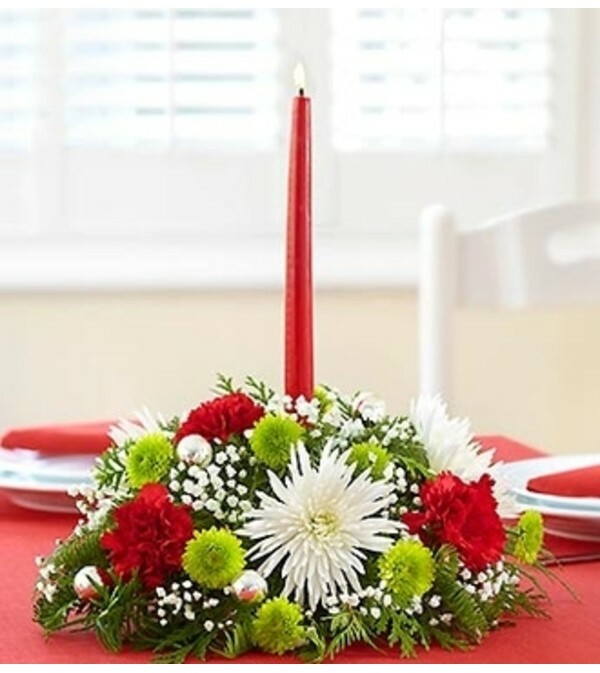 Our festive centerpiece arrangement will send them dashing through the snow and down the rolling hills of the European countryside. 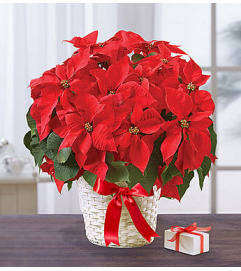 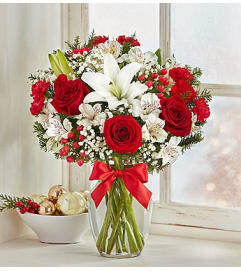 Crafted from fresh spider mums, carnations, poms and fragrant greens, it’s accented with ornament balls and a red taper candle. 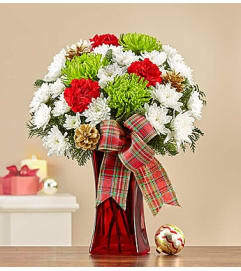 Hand-designed centerpiece arrangement of carnations, spider mums, poms, assorted Christmas greens and gypsophilia.